COLFAX, Schuyler, a Representative from Indiana and a Vice President of the United States; born in New York City March 23, 1823; attended the common schools; in 1836 moved with his parents to New Carlisle, Ind. ; appointed deputy auditor of St. Joseph County 1841; became a legislative correspondent for the Indiana State Journal; purchased an interest in the South Bend Free Press and changed its name in 1845 to the St. Joseph Valley Register, the Whig organ of northern Indiana; member of the State constitutional convention in 1850; unsuccessful Whig candidate for election to the Thirty-second Congress; elected as a Republican to the Thirty-fourth and to the six succeeding Congresses (March 4, 1855-March 3, 1869); chairman, Committee on Post Office and Post Roads (Thirty-sixth and Thirty-seventh Congresses); was not a candidate for renomination in 1868, having become the Republican nominee for Vice President; Speaker of the House of Representatives (Thirty-eighth, Thirty-ninth, and Fortieth Congresses); elected Vice President of the United States on the Republican ticket headed by Gen. Ulysses Grant in 1868, was inaugurated March 4, 1869, and served until March 3, 1873; unsuccessful candidate for renomination in 1872, owing to charges of corruption in connection with the Credit Mobilier of America scandal; lecturer; died in Mankato, Blue Earth County, Minn., January 13, 1885; interment in City Cemetery, South Bend, Ind. Papers: ca. 1863-1866, 2 items. Includes one letter from Schuyler Colfax to Simon Stevens written on November 28, 1863, discussing Schuyler Colfax's election for the U.S. House of Representatives. Papers: 1867, 1 page. A letter from Schuyler Colfax to E. F. Chapman dated February 23, 1867. In the letter, Schuyler Colfax assigns E. F. Chapman seat number 36 in the reporter's gallery in the U.S. House of Representatives. Papers: ca. 1875, 2 items. Includes a speech of Schuyler Colfax on Abraham Lincoln, as well as a reminiscence of Schuyler Colfax's final meeting with Abraham Lincoln on April 14, 1854. Papers: 1843-1884, 1 box and 1 oversize folder. The papers include Schuyler Colfax's lecture in manuscript and two transcripts titled "Across the Continent." The collection also contains correspondence, programs, invitations, and photographs. Early correspondence deals with South Bend and Indiana politics. Letters from Schuyler Colfax's service in the U.S. House shows his interest in "Bleeding Kansas," appointments to offices, and his 1865 western tour. Five letters cover George F. Nesbitt and the Credit Mobilier scandal. Later letters deal mostly with Schuyler Colfax's lecture tours. A collection guide and calendar of correspondence is available in the library. Papers: 1864, 1 page. A letter from Schuyler Colfax to Williamson Wright, May 27, 1864 in Logansport, Indiana. In the letter, Schuyler Colfax agrees with Williamson Wright's opinions concerning war, defends Congress against abuse by the press, and predicts a draft. Papers: 1865, 1 volume. An autographed reminiscence titled Across the Continent by Overland Stage by Schuyler Colfax. In the reminiscence, Schulyer Colfax describes his stagecoach trip from Missouri to California in 1865. Papers: 1871-1873, 20 items. Includes letters from Schuyler Colfax to Jay S. Carpenter concerning the house in Indiana in which his family was living temporarily. Schulyer Colfax also writes concerning the Credit Mobilier of America. Papers: 1878, 4 pages. Letters from Schuyler Colfax to unidentified recipients about the political and social situation in Utah and urges that the fight against Mormons be continued. Papers: 1864, 1 item. A letter from Schuyler Colfax to Henry G. Hill dated March 23, 1864. The letter contains a brief message and is written on House of Representatives stationery. Papers: 1864, 1 page. A letter from Schuyler Colfax to an unknown recipient dated September 24, 1864. In the letter, Schuyler Colfax says that he has written a letter to the Secretary of War regarding the exchange of a Captain Phelps. The letter is bound in Volume II, page 218, of The Life of Abraham Lincoln by Ida M. Tarbell, published by the Lincoln History Society, New York, 1909. Papers: 1866-1868, 2 items. The collection contains a letter from Schuyler Colfax to an unidentified recipient concerning the scheduling of a caucus. Also included is a news clipping from 1868 assessing Schuyler Colfax's ability to serve as vice-president. Papers: 1837-1882, 0.4 linear foot. The papers include correspondence and speeches of Schuyler Colfax. The correspondence is chiefly with Alfred Wheeler, business manager for Schuyler Colfax and editor of the St. Joseph Vally Register, South Bend, Indiana. The correspondence covers state and national politics, Republican Party politics, Schuyler Colfax's lecture tours, and the operation of the newspaper. Speeches date primarily from 1873 to 1882 and consist of public lectures on a variety of topics give by Schuyler following his retirement. A microfilm edition of the papers is available, as well as a finding aid in the Manuscript Reading Room. Papers: 1856, 1 page. A letter from Schuyler Colfax to Joel Parker dated December 10, 1856. In the letter, Schuyler Colfax requests a copy of Joel Parker's address on the non-extension of slavery. Papers: 1864, 1 item. A letter from Schuyler Colfax to an unidentified recipient dated April 17, 1864. In the letter, Schuyler Colfax says that President Lincoln will leave for Baltimore the following afternoon. He also indicates that President Lincoln is not feeling well, and that his son is sick, which may detain Mrs. Lincoln. Papers: ca. 1864-1872, 3 items. Letters from Schuyler Colfax to Horace Greeley concerning political matters and an invitation to dine at the White House. Papers: 1866, 1 item. A signed letter from Schuyler Colfax to an unidentified recipient dated November 25, 1866. The letter concerns political matters relating to the late war. Papers: 1868, 1 item. A signed letter from Schuyler Colfax to J. M. Dalzell dated March 19, 1868. The letter concerns a soldier's pay. Papers: 1868, 1 item. A letter from Schuyler Colfax to William Pitt Fessenden dated December 12, 1868. In the letter, Schuyler Colfax says that he would like to have new office space assigned to him in the Capitol now that he has been elected Vice-President. Papers: 1856, 1 page. A letter from Schuyler Colfax to Thomas Andrews Hendricks, Commissioner of the Land Office, dated May 19, 1856. The letter concerns a land patent requested by Mrs. Sarah Glass. Papers: ca. 1860-1874, 2 items. A letter from Schuyler Colfax to Daniel Bouyer dated May 2, 1860, concerning a constituent for whom he obtained a soldier's disability pension and letter. Also discussed is the fee and date for giving his Lincoln lecture. Papers: 1863, 1 page. A letter from Schuyler Colfax to Dr. S. McClellan dated January 14, 1863. In the letter, Schuyler Colfax asks Dr. McClellan to examine a patient who is one of his constituents, a soldier who wishes to obtain a discharge from military service. Papers: 1866, 1 item. A letter from Schuyler Colfax to an unidentified recipient dated October 8, 1866. Papers: 1877, 1 item. A letter from Schuyler Colfax to T. J. Hudson dated December 3, 1877. Papers: 1866, 1 item. A letter from Schuyler Colfax to an unidentified recipient dated January 20, 1866. In the letter, Schuyler Colfax expresses his plans to deliver his lecture titled Across the Continent to the Cooper Institute. Papers: 1867, 1 item. A letter from Schuyler Colfax to Archibald Russell, Eliot C. Comdin, and Frederick Law Olmsted dated April 15, 1867. In the letter, Schuyler Colfax expresses his willingness to give a benefit lecture for the Southern famine relief association. Papers: 1841-1885, 62 items. Includes letters to Schuyler Colfax, mostly concerning political appointments and election campaigns, from Horace Greeley, Lewis Wallace, Ulysses S. Grant, John C. Fremong, and Charles Sumner. A register is available in the repository. Papers: 1864-1883, 27 items. Includes correspondence, notes, and essays written by Schuyler Colfax. Papers: 1868, 0.1 cubic foot. A letter from Schuyler Colfax to an unidentified recipient giving advice on when to notify the House of Representatives of developments in the impeachment trial of President Andrew Johnson. Brisbin, James S. The Campaign Lives of Ulysses S. Grant, and Schuyler Colfax. Cincinnati: C.F. Vent & Co.; Chicago: J.S. Goodman & Co., 1868. Brockett, L. P. (Linus Pierpont). Grant and Colfax: Their Lives and Services. New York: Richardson and Company, [pref. 1868]. Carey, Henry Charles. The Farmer's Question: Letters to the Hon. 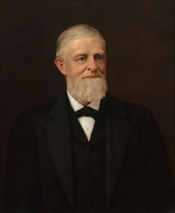 Schuyler Colfax, Speaker of the House of Representatives. Philadelphia: Collins, 1865. Colfax, Schuyler. Example and Effort: An Address Delivered Before the Congressional Temperance Society at Washington, D.C. New York: National Temperance Society and Publication House, 1872. ___. Fremont's hundred days in Missouri: Speech of Schuyler Colfax, of Indiana, in reply to Mr. Blair, of Missouri, delivered in the House of Representatives, March 7, 1862. Washington: Scammell, . ___. Kansas--the Lecompton Constitution. Speech of Hon. Schuyler Colfax, of Indiana, in the House of Representatives, March 20, 1858. Washington: Buell & Blanchard, Printers, 1858. ___. The "laws" of Kansas. Speech of the Hon. Schuyler Colfax, of Indiana. In the House of Representatives, June 21, 1856. New York: Greeley & McElrath, . ___. Life and Principles of Abraham Lincoln. Philadelphia: J.B. Rodgers, printer, 1865. ___. Speeches of Messrs. Colfax, of Indiana, and Thaddeus Stevens of Penn. [Washington: Scammell & co., printers, 1862]. Hollister, Ovando J. Life of Schuyler Colfax. New York: Funk and Wagnalls, 1886. The life and times of Hon. Schuyler Colfax. New York: E. B. Treat & co.; Chicago, Ill.: C. W. Lilley [etc., etc. ], 1868. The lives and public services of General U. S. Grant, U. S. A. and of Hon. Schuyler Colfax. Philadelphia: N.p., 1868. The lives of General U.S. Grant and Schuyler Colfax. This work is a complete history of the lives of General Ulysses S. Grant, and of the Hon. Schuyler Colfax, from their birth up to the present time. Philadelphia: T.B. Peterson & Brothers, . Lives of Ulysses S. Grant, and Schuyler Colfax: Candidates of the National Republican Party for President and Vice President of the United States, illustrated with portraits, containing, also, a correct genealogical summary of the Grant family, now first published. Cincinnati: Padrick & Co., 1868. Mansfield, Edward Deering. Popular and Authentic Lives of Ulysses S. Grant and Schuyler Colfax. Cincinnati, [Ohio]: R.W. Carroll & Co., 1868. [McCabe, James Dabney]. The Life and Public Services of Schuyler Colfax. New York: United States publishing company; Chicago: P. Garrett & co. [etc., etc. ], 1868. Moore, A. Y. (Ambrose Yoemans). The Life of Schuyler Colfax. Philadelphia: T.B. Peterson & Brothers, . Phelps, Charles A. Life and public services of General Ulysses S. Grant, from his boyhood to the present time. And a biographical sketch of Hon. Schuyler Colfax. Boston: Lee and Shepard, 1868. Richardson, Albert Deane. A Personal History of Ulysses S. Grant, and Sketch of Schuyler Colfax. Hartford, Conn.: American Publishing Company; San Francisco, Calif.: R. J. Trumbull & Co., 1868. Sketches of the lives and services of Ulysses S. Grant and Schuyler Colfax, national Republican candidates for president and vice president of the United States. [Washington: Chronicle print., 1868]. Smith, Willard Harvey. The Life and Times of Hon. Schuyler Colfax. Indianapolis: Indiana Historical Bureau, 1952. ___. Schuyler Colfax: The Changing Fortunes of a Political Idol. Indianapolis: Indiana Historical Bureau, 1952. ___. "The Political Career of Schuyler Colfax to His Election as Vice-President in 1868." Ph.D. diss., Indiana University, 1939.